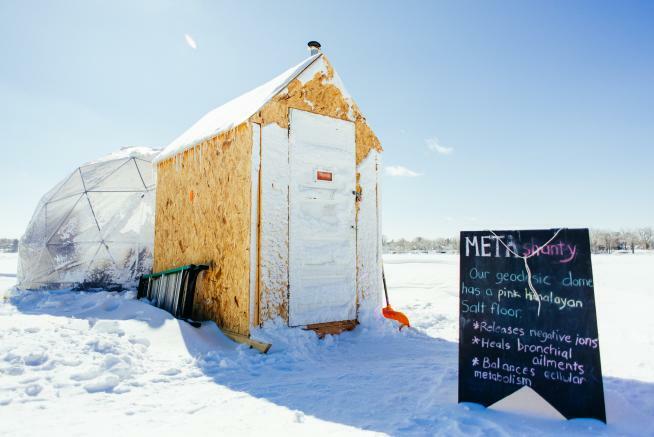 The Meta Shanty on White Bear Lake. Photo by Emily Fishman. Rejuvenate yourself in this metaphysical space for decompression. One of four 2014 Art Shanty Projects exhibited at Northern Spark.